From the Headland Sculpture on the Gulf exhibition on Waiheke Island. 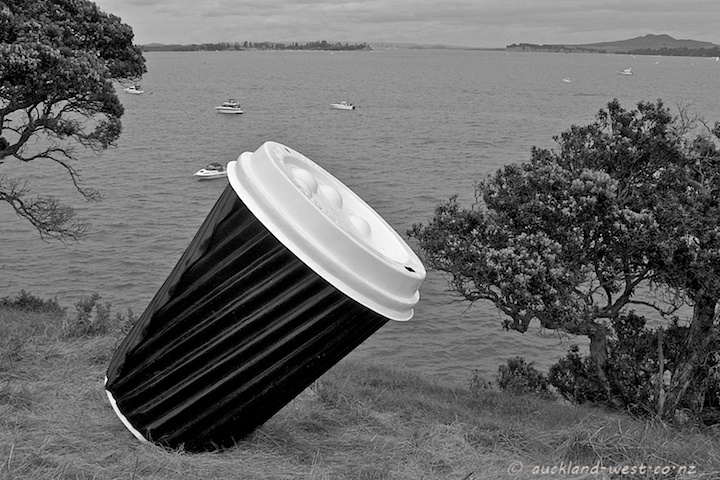 An extra large coffee to go overlooks the waters of the Waitemata Harbour. In the distance top right one recognizes the silhouette of Rangitoto Island, and with a lot of imagination one can imagine the Sky Tower more or less in the centre. Throw Away Fix is a sculpture by Brett Oakes.